Family Optometry of Tracy, Inc.
We provide comprehensive corneal and contact lens care. During your eye examination we will evaluate the health of your cornea and determine which type of contact lens best fits your individual needs. 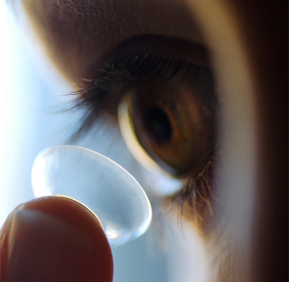 We prescribe all major brands of soft contact lenses including color contacts for cosmetic consideration. Our staff is knowledgeable and able to answer all of your questions. We are available for ongoing contact lens instruction and training for any contact lens wearer.